The KoSA Music directors – Aldo Mazza and his wife- Dr. Jolán Kovács – have returned from Havana, Cuba high on emotion after celebrating its 17th annual edition of their drum and percussion camp and festival: KoSA Cuba. This week-long drum and percussion camp and festival in collaboration with the “Fiesta Del Tambor” festival puts a spotlight on the immense talent of Cuban musicians and dancers and provides an insight on this country’s rich history and fascinating culture. This year’s trip took place March 4 – 11, 2018. KoSA Cuba was an experience like no other for the lucky participants coming from all over the U.S, Canada and even Switzerland this year. The program offered intensely fulfilling days of hands-on classes, workshops, concerts, lectures, cultural visits and the exciting activities of the Havana’s Fiesta Del Tambor (Havana Rhythm and Dance festival). All instruments were provided, and participants studied, and played along Cuba’s top international artists such as Amadito Valdes (Buena Vista Social Club), Enrique Pla (Irakere), El Peje (Chucho Valdes), El Panga (Havana top studio musician), Adel Gonzales (Afro Cuban Allstars), and Miguelon Rodriguez . Special guest artists joining Aldo Mazza in Havana this year were Jim Riley, Antonio Sanchez and Nanny Assis. 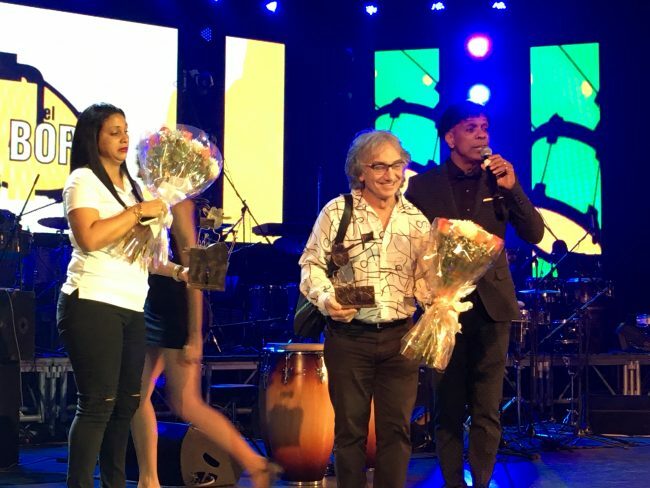 A welcome surprise was the “Recognition Award” bestowed upon Aldo Mazza and KoSA Music for their tireless efforts in promoting the music and culture of Cuba for nearly two decades. For more information on KoSA Cuba, please visit www.kosamusic.com or call 1-800-541-8401.